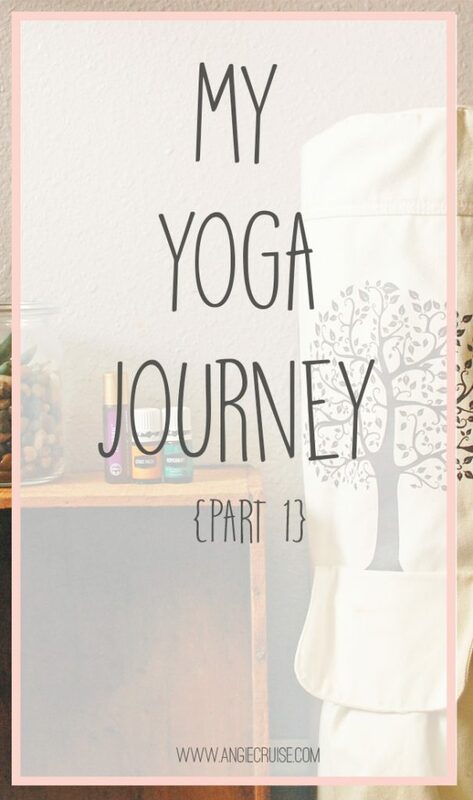 Today, I want to share my yoga journey, and what yoga means to me. I’m not an instructor, or even someone that knows a whole lot about yoga from an official standpoint. I’m just a girl, who fell in love with a practive, who’s trying to make it a lifestyle. Eventually I’d love to become a certified yogi, but for now, I just want to share my love of the practice. Can I be honest here? When I first started this blog, yoga was one of the topics I planned to write about regularly. When I started my blog, I kept all of my ideas in a notebook. I wrote down the topics I wanted to discuss,the areas I wanted to focus on, and post ideas to keep the inspiration flowing. Recently, I looked through that notebook and realized that yoga was one of the top 3 topics I planned to write about. The only reason the topic didn’t make it into my first few posts is because I’d just had an accident. It’s hard to practice with a fractured elbow. By the time I was healed and ready to start growing my practice again, I was all wrapped up in the idea of “choosing a niche.” All of the experts told me to stick to one topic, so I did. But lately I’ve been on this kick where I’m taking back my blog, so here we are, bringing yoga back. This post contains affiliate links. To learn more, please see my full disclosure here. I started doing yoga a few years ago. I was experiencing problems in my hip flexor, and wanted to find a way to get out of pain. When I looked up exercises to help, yoga seemed to be the top recommendation. This was shortly after I’d read the book Eat, Pray, Love, so naturally, I was all into the idea of yoga. It’s so cliche, but here I am. I had a near daily practice for a long time. The only thing that actually stopped me was a fall that broke my elbow. It took so long to heal, and was so discouraging, that I gave up out of frustration. I’ve been back on the mat off and on ever since that accident, but it’s been a slow journey. I miss my regular practice and want it back. One of the things I want to do this year is get back to that and start practicing daily. In fact, when I chose my word of the year (Grow), one of the things I chose it for was my yoga practice! I’ve recently found a really awesome local community, which has been great for keeping me encouraged. We do some really fun classes, like “glow yoga” and “brew yoga” and even have sunset practices at the beach! Now that I’m out there in the community, it’s time to grow my home practice as well. Since I can use a little accountability in this arena, I thought I’d share my journey here on the blog! master the tree pose (I have the worst balance ever). Any aspiring yogi’s want to join me in working towards a better practice? I’m so ready to make this happen. I’m completely recovered from my injury and in a much better mindset. It’s finally time to take on this challenge, and I’m excited to see how far I can go this year! I’ve got a few favorite yogis to follow, if you’re brand new and need some direction. First, I highly recomment Yoga with Adrienne on YouTube. She has some amazing beginner videos, and even has several 30 day challenges you can follow! I’m also participating in my friend Melody’s 30 to 30 challenge. She’s a local yoga friend, and the one that got me involved in the community. Every day for 30 days, she’s doing yoga challenges and I’m trying to participate right along with her! 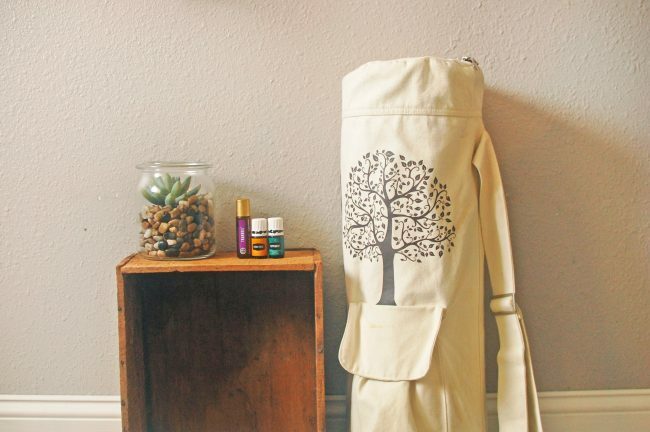 I even did a post on her blog last week about using oils to enhance your practice. If you didn’t get a chance to see it, you can check it out right here! For over a year, I let frustration get in the way of doing something I loved. We’re all guilty of it, right? Well, I’m done with that. It’s time to make it happen!